Thanks to update version 32, the Nexus 6 can run the famed MultiRom tweak. 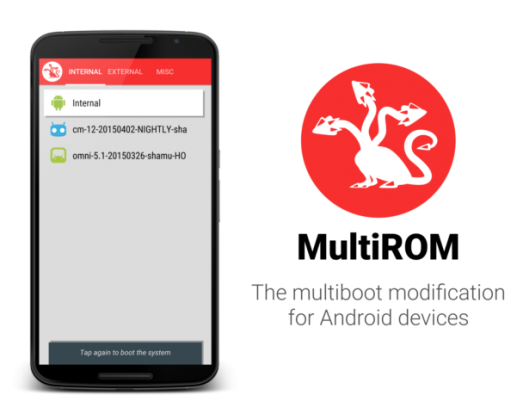 MultiRom replaces your recovery and features a boot manager which allows you to select which ROM you want to run on boot. This allows you to run Cyanogen OS, Ubuntu Touch, or any other ROM that you can find for the Nexus 6. However, there are a couple of things to note with MultiRom. For starters, smartphones (pocket computers) were originally designed to only run one OS at a time and therefore trying to run multiple operating systems on them can present issues with bugs, security, and most importantly, storage issues (thanks to our new SD card-less flagships). If you’re feeling daring or want to try out a couple different ROMs, be sure to head on over to the XDA link below and start flashing away. As always, read the instructions first. Eh, who am I kidding? Go brick your phone one good time and then try to learn from your mistakes.